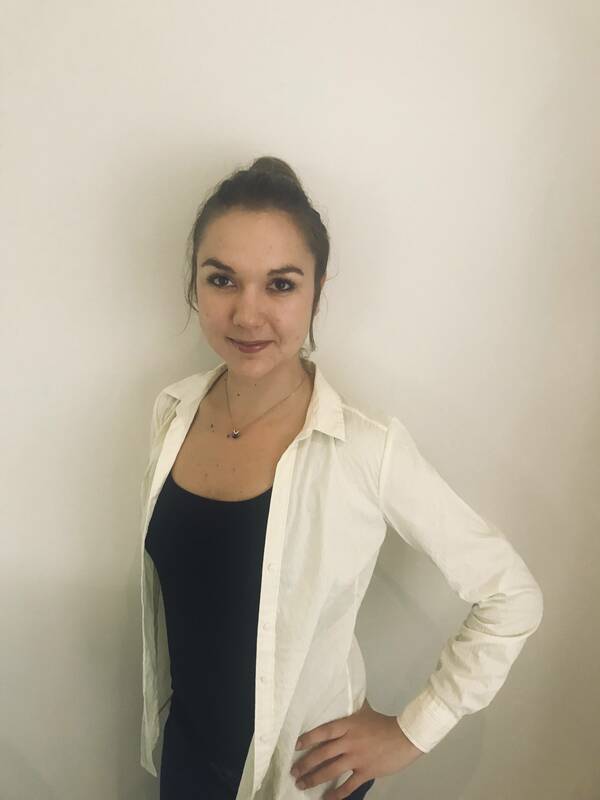 Lara Krause, language activist and PhD researcher into mother tongue education. Photo supplied. You’ve specialised in language and education in South Africa for many years now. What gets you so passionate about these topics? It’s always struck me that something as universal as language, which was never an obstacle in my own education, can make life so difficult for millions of children at school. So there’s a social justice agenda that gets and keeps me passionate about this work. I’m also excited by the idea of debating what language really is – what counts as a ‘proper’ language and what gets dismissed as unacceptable or informal. There is a big and important movement fighting for access to mother tongue education, but your research suggests it’s a complicated issue. Why is that? Well, one issue is that South Africa is a country where most children grow up speaking more than one neat language category – they mix isiZulu, English, isiXhosa and maybe Afrikaans as a normal part of everyday life. They communicate just as efficiently as everyone else – perhaps more efficiently! 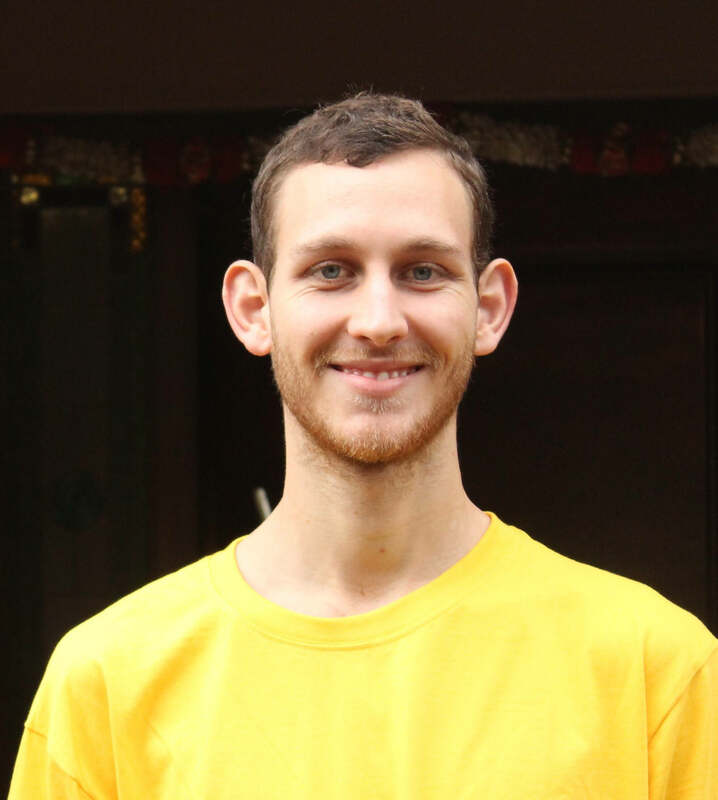 – but what is their mother tongue? It shows the shortcomings of our thinking. Can you give us some practical examples where school language policy doesn’t always help children? Well, the numbers used in everyday isiXhosa are mostly adapted from English – the formal isiXhosa words for numbers are almost never used. When children learn maths in ‘mother tongue’, though, they are often taught standard isiXhosa words for numbers – words that are actually foreign to them! This sometimes has children being marked down in tests if, for example, they can’t write a number like 153 out in standard isiXhosa words. These children can often count and work with numbers perfectly well – it’s just that the words they know are not acknowledged because they don’t fit into one language category. That’s not a failure of thinking, it’s a failure of policy. In your experience, what creative things are teachers doing in practice to help students with this? Teachers work a lot with visual aids, I find. Even though resources are often hard to come by, they print posters, bring pictures or postcards to continuously illustrate what is being spoken about. I’ve also seen teachers physically act out vocabulary that they are teaching and integrating little jokes to make learners remember things better. I’ve been really impressed by the creativity teachers bring under very difficult circumstances! Obviously it’s important that we turn around our literacy rates in South Africa. Do you think a more flexible approach to language use might help with this? Yes! If I could decide, I would relax language restrictions when it comes to writing in content subjects in primary school. Children should be free to use whichever language resources they have to show their knowledge. We should also stop worrying so much about teachers mixing languages in the classroom – research suggests it’s one of the most efficient ways of helping students understand. We should legitimise and support any practices which help our children learn and develop a love of using language to express themselves. As they are exposed to standard ways of saying and writing things in the books they read, children absorb the formal rules if they’re allowed to grow into them. You’ve done some work with picture stories to see how children naturally write. Can you tell us about why you did this and what you discovered? I wanted to see how children choose to write if they are allowed to use any mix of languages they like. It looks as if children write more courageously and freely when not restricted to ‘one language’. This data is my current project so the insights are not very detailed yet. How can parents and communities best support children to become curious, creative readers and thinkers? Are there any tips you’d give on supporting how children close to us talk and write? I think it would be great to start early to expose children to different types of texts. Reading books together with children and talking about them is incredibly valuable and conducive to any sort of learning activity. However, if books are not always at hand, a whatsapp message with lots of emojis that mom just got from dad can be turned into a resource for learning about reading, writing and creativity as well, just like the writings on the wall of the spaza shop and the lyrics of children’s favorite songs. I’m really interested in the ways that children create stories but also connect with everyday objects, situations and spaces. My research has been about finding out how children make meaning by engaging with their surroundings. I’ve recently experimented with the question of whether a street can be a classroom and uncovered a whole lot of new ways of thinking about public spaces and children’s learning. Why is children’s literacy such a passion for you? Actually I like to talk about ‘literacies’ rather than ‘literacy’ because I see children expressing themselves through so many different means, many of them not needing words at all. Drawing is probably the most well supported story-making children’s language that is acknowledged by adults, but there are so many more! Your work must have taken you to some interesting places and situations! 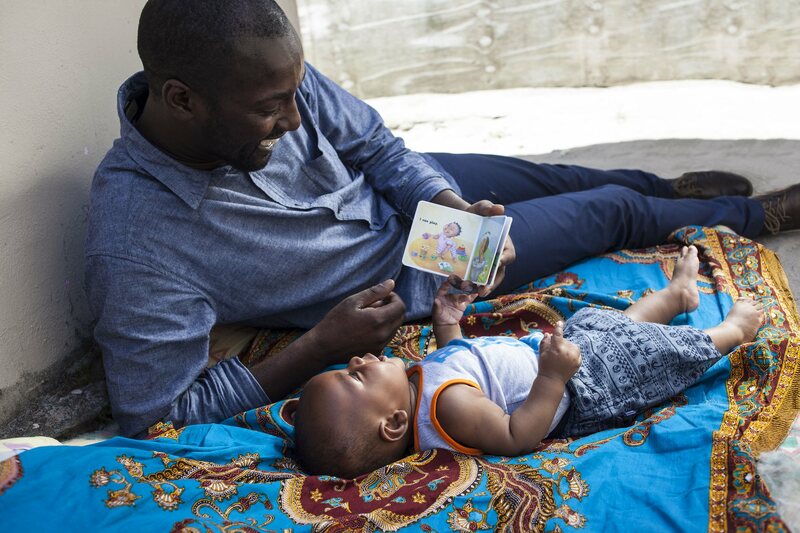 Can you tell us some of the most memorable moments with children and storytelling? The most remarkable things have happened when I have been able to return to a group of children I have worked with. The way that the slow, thoughtful processing of ideas works over time and re-emerges in different expressions is always surprising. Children develop their own favorite themes that can be seen as the beginning of their ‘literacy’ practice – even if there are no words involved! What are the biggest everyday things all of us can do to make a difference with literacy acquisition and a love for books in our families and communities? The two most important things are so simple: to have really good conversations and to be interested in the world! The key to having good conversations is to be interested in how people, including the very smallest people, see things and in what they think about the world. 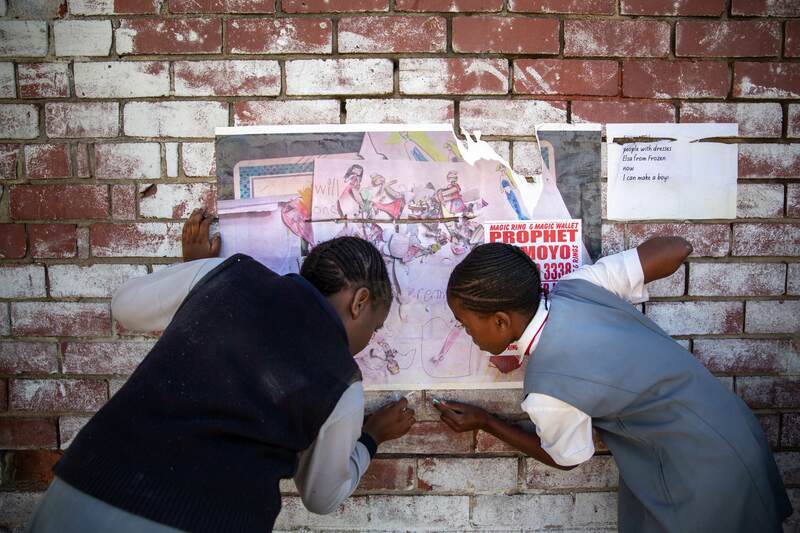 What are some of the most creative South African teaching solutions you’ve encountered in response to lack of resources or challenging conditions? The use of an ‘enquiry-based’ approach to learning is really creative. It’s a form of learning where children are encouraged to ask questions and explore ideas themselves as a way into a topic, rather than just being told facts. Philosophy with Children, for example, is an enquiry-based approach that uses picture books to explore ideas in a space in which the ideas and questions of children lead the session instead of the teacher. Why is reading together with children – and by oneself around children – so important? Reading is a powerful force in society and connects us to the thoughts and ideas of people across space and time! Reading is at the centre of the way we learn and communicate, so it’s important that we invite children in as new readers as early as possible and establish reading as an enjoyable and inclusive activity. What positive changes do you think we can realistically expect to see in the next five years in South African literacies or education? One positive change I anticipate is for parents and families to really come on board in promoting children’s literacies. We need to educate parents about the importance of all the ‘literacies’ their children can explore before being introduced to school instruction – creative expression in storytelling, music, drawing and pattern making. Even more positive changes will come when ‘formal’ literacy learning embraces the abilities that children have for creating meaning, inventing narratives and engaging with the world together. Think of Aesop’s fables. Aesop was a slave and storyteller in Ancient Greece in the 5th Century BCE. For centuries his stories moved across continents and were told and heard in many languages. They first appeared in print in 1484 – as stories for children, and in English! Even today new versions of these stories continue to be created. Many famous fairy tales have different versions around the world. For example, across Africa and Europe, in Russia, Appalachia, India and Japan, versions of the Grimm’s fairy tale, ‘Hansel and Gretel’, are told and read. So, the history of children’s literature is a history of translation. Through translation, stories from Greek, Latin, Hebrew, French, Italian and Asian languages have found their way into English. 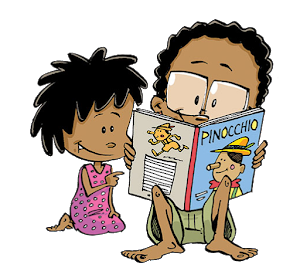 In South Africa, ‘Pinocchio’, originally written in Italian, has become ‘Pinokiyo’ in isiXhosa and is now appreciated by children who do not necessarily know that the story came from Italy. •	The Herald (Thursday 3 May) and Daily Dispatch (Tuesday 1 May) (Eastern Cape) – English and isiXhosa. 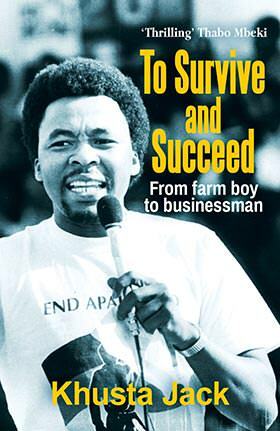 Win a copy of Izinkanyezi Ezintsha! 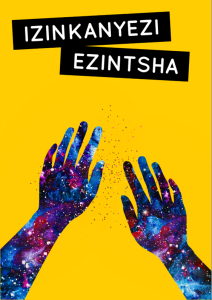 BooksLive, in collaboration with The Times, is giving away five copies of Izinkanyezi Ezintsha (New Stars); an isiZulu short story anthology! The first five lucky readers to mail The Times’s education consultant, Patti McDonald, will receive a copy: Patti.Mcdonald@tisoblackstar.co.za. Your email must include your name, cell phone number and physical address. We are excited and proud to announce the release of Kwasukela Books’ debut publication: Izinkanyezi Ezintsha. 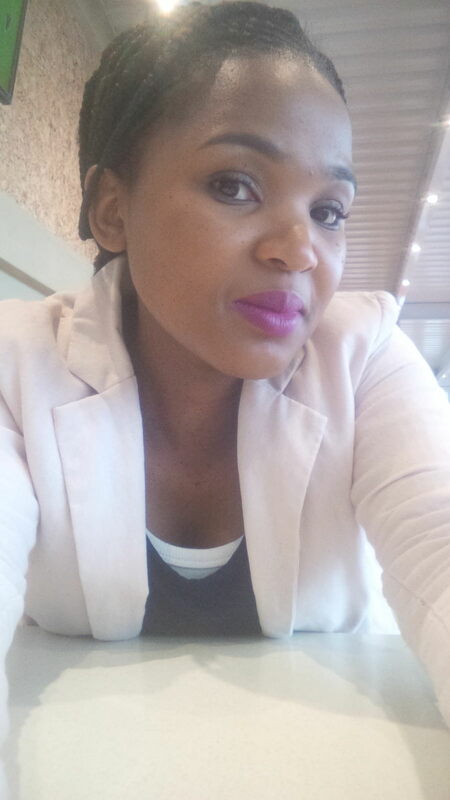 Featuring seven isiZulu short stories, Izinkanyezi Ezintsha is the product of a desire to bring new and exciting isiZulu literature from new voices. Being the first-ever collection of speculative fiction in isiZulu, Izinkanyezi Ezintsha pushes the boundaries of how isiZulu literature is imagined in South Africa and the world. How was the idea for Kwasukela Books born? It was after seeing so little new isiZulu fiction published and marketed, and having nowhere to submit my own isiZulu fiction. It seems quite unbelievable that there are not more indigenous language publishers in South Africa. Why do you think English is assumed to be the only marketable language for cultural expression? African-language literature is not yet seen as a valid expression of culture. It is seen, by those who can’t or don’t read literature in South African languages, as more of a curiosity. Retailers have only just caught on to the huge possibilities in the local market – I think publishers haven’t quite caught up yet. Do you plan to expand into other indigenous languages or are you solely an isiZulu imprint? It’s definitely an idea we’ve thought about a lot, and I wouldn’t rule it out, but for now we want to focus on quality isiZulu literature. Your first title is a collection of short stories titled Izinkanyezi Ezintsha (New Stars). What kinds of stories can readers find inside? Readers can expect to find an interesting mix of seven stories. 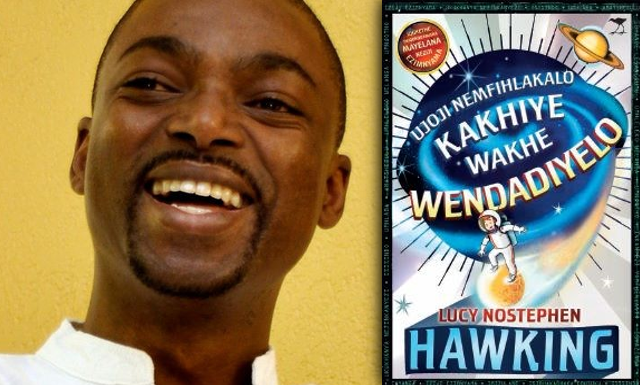 Fans of Nnedi Okorafor-style fantasy will like uZuzile and uNtsika eZweni leseThembiso. Another story iMpi kaSikhulumi noHlokohloko is a lot like a Southern African Lord of the Rings. And, of course, we have Fred Khumalo’s Kwakungcono eGibhithe – his first published isiZulu short story. How hard was it narrowing down your selection? The submissions we received made it very easy for us. We were sent a number of well-written, compelling stories, but ultimately it was the writers who followed the speculative fiction theme that produced the most standout work. You’ve talked a little in a previous interview about “colonial economies” embedded into the publishing industry. What kinds of sticking points did you encounter with publishing your first isiZulu short story collection? Well, we have only just begun on our journey, but so far the biggest obstacles are people’s assumptions. Oddly enough, you have to convince them that complex isiZulu literature exists and deserves to be appreciated. Tell us a little about the kinds of existing opportunities and communities for indigenous-language writers and readers in South Africa? For creative writers there are radio dramas, screenwriting, and school set works. But these are highly competitive and there is not much space for new authors. For readers there are public libraries and, slowly, retail stores that sometimes stock copies of local indigenous-language literature. 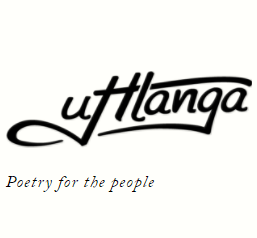 There are also thriving communities of tens of thousands of isiZulu writers and readers on Facebook who support each other, provide feedback, and hungrily await the next serialised installment in their groups. How are you distributing and selling the collection? We do direct sales at order@kwasukelabooks.com, and we are currently working on getting our books into more and more independent bookstores. Bridge Books and MyAfricanBuy.com will soon be stocking Izinkanyezi Ezintsha, so you can follow us on social media to find out when that will be. It’s been exhilarating – not too long ago this was all just an idea, and now it’s real. I’ve had so many ideas come and go that when people just acknowledge Kwasukela Books and Izinkanyezi Ezintsha I want to ask, “Who told you?” People are excited and so am I! We have more titles that we’re working on getting published, including Izinkanyezi Ezintsha Volume 2 and a collection of short stories by a familiar writer. You’ll have to follow us on social media to keep up with what we’re doing next. Why is it important for people to have access to quality literature in their mother tongue? Art is a way of breathing. As far as art in our own languages goes, in South Africa we are gasping. “78% of Grade 4 learners in South Africa cannot read for meaning in any language” – Progress In International Reading Literacy, 2016. Yet that doesn’t have to be the case. YOU can make a difference and contribute towards creating a South Africa where children read for enjoyment, meaning and understanding. Together, we can read to 1 million children! Reading aloud to a child is one of the most important things a parent and caregiver can do with children. Not only does it build a strong language foundation, it introduces vocabulary and can help develop empathy, curiosity and critical thinking. World Read Aloud Day is on Thursday, 01 February 2018. On this day we all have a responsibility to spread the importance and power of reading aloud and sharing stories with children. 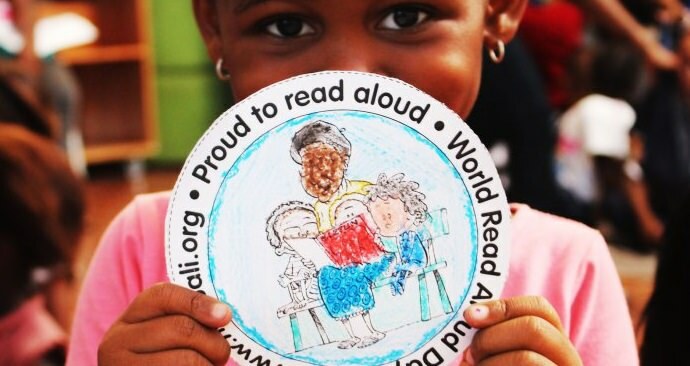 This World Read Aloud Day we’re calling on YOU to add your pledge to read to the children in your life. This year’s story is ‘The final minute’ written by Zukiswa Wanner. 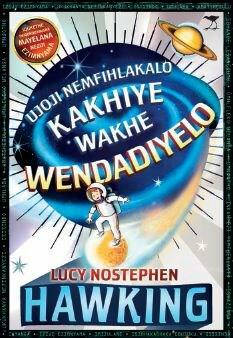 You can download this story in any of South Africa’s official languages. For Nal’ibali’s fifth term column, Carla Lever conducted a Q&A with children’s author, isiZulu translator and language activist Phiwayinkosi Mbuyazi. You have a background in electrical engineering, but have become an author and translator of science adventure books for children. That’s quite a shift! 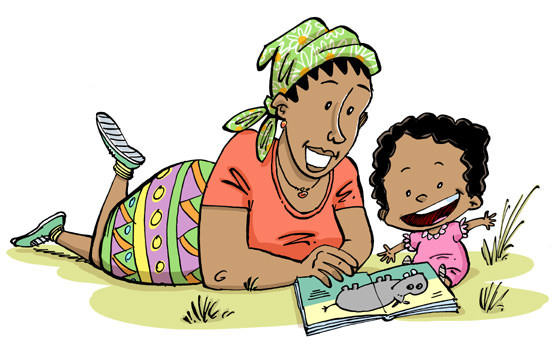 What makes you passionate about creating exciting and educational books for children, particularly in isiZulu? It takes the better part of 10 years to arrive at a decent mastery of the English language. For indigenous mother tongue schoolchildren, this means the full enjoyment of English books is deferred till age 16. When English mother tongue students have been able to enjoy that resource privilege from a much earlier age, the situation amounts to information and knowledge apartheid. A language both reflects and restricts the possibilities open to its users. 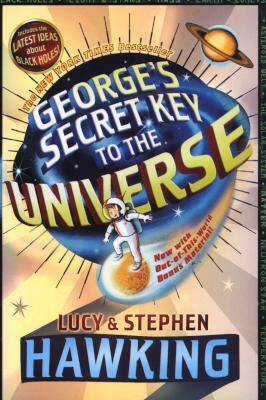 It’s really telling that, in many cases, there were literally no isiZulu words for the things discussed in George’s Secret Key to the Universe – your translation project of Stephen Hawking and his daughter Lucy’s children’s science book. What kinds of words were missing? Were some of them surprising? Neutron, neutron star, asteroid belt, Mercury, Pluto… to name but a few. I’ve known for quite some time that if you exclude the practice of prefixing every English noun with ‘i’ as in iquark, iwindi, etc, there are a lot of missing words in isiZulu for what have become our everyday objects in the 21st century. So, no, I was not surprised; in fact, that is part of the reason I felt I needed to do something about the situation by making new words! I’ve come to the conclusion that there are countless conversations that do not happen among indigenous language speakers simply because of a lack of vocabulary. If you can’t even have that type of conversation, how can you decide to pursue a career in astrophysics? What process do you follow to create new isiZulu words? When I encounter a word I’m not sure about (in fact even one with which I have a slight hesitation!) I quickly consult my heftiest English-Zulu Dictionary. If the word is not there – or it’s not satisfactory for what I need – I begin the process of creating a new word. In order to create new words I ask myself what does a word or object reminds me of or, if it does something, how does it do it? What does it sound like? Are there root words I can mash up to get me closer to something that will trigger the right intuition to a mother tongue speaker? An example that I’m particularly fond of is the English word planet, for which the definition is ‘inkanyezi ezungeza ilanga’ which means ‘a star that goes around the sun’. Now, while I understand why they called it a ‘star’ (as everything twinkling in the night sky apart from the moon is a star in isiZulu), this wasn’t specific enough for George’s Secret Key to the Universe. So, my next step was to check out what the English dictionary definition is. In this case the Oxford English Dictionary proclaimed a planet to be ‘a celestial body which orbits a star in an elliptical orbit’. The problem is, I now had 5 more words I have to look up: celestial, body (in the sense it’s used here), star, elliptical, and orbit. But then, I happened to note that the English definition also states that the word ‘planet’ has Greek origins; ‘planeo’ in Greek means ‘wanderer’ as planets seemed to wandering around the sun. Now, that I could work with! isiZulu has a word for wandering, ‘ukuzula’, so I used that as the root of my new word for planet, which is ‘umzulane’. You also created new isiZulu words for your own book, Ama YIPHENDLEYA. In fact, you left your job to focus on writing it – that’s commitment! Can you tell us a little about what it’s about? It tells the story of how four South African teenagers – Kwethu, Jo, Scott and Bobo – who begin an adventure of discovery in the world of science and technology. With the help of their Uncle Mike, who’s an engineer, they form a club through which they begin dedicating their spare time to the learning how things work. They draw inspiration from real-life examples of innovators such as Trevor Baylis who, when confronted with the dire need for mass communications in Africa, went on to invent the wind-up radio. AMAYIPHENDLEYA – IsiQalo Sakho Konke is a story of how everyone can cultivate a dream and an innovative mind, and how even teenagers can begin taking the necessary baby steps toward making a difference in their own world. Languages shift and change. Why is this important? A language that remains static and does not adapt to changing times will eventually die. It is obviously exhilarating to be able to play a part, however small, in equipping minds to see further. But the opposition can also be extremely frustrating!